The Filter Menu is a drop down menu with built-in filter. Menu items will be filtered as soon as you start typing characters in the search field. 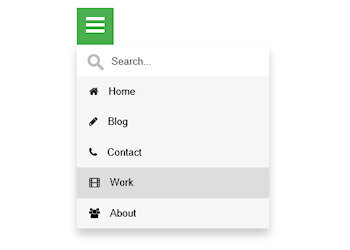 The menu has the usual styling options and each menu item can have its own FontAwesome icon.